Do not forget to make the inclusion / update to the electronic invoice record in theAdministración Tributaria Virtual (ATV) of Costa Rica. The Unique Tax Registry is the database that contains the identification information of all taxpayers. This record must be updated to start your participation in the new Electronic Billing format. Enter your identification number and password in the corresponding spaces, and then complete the requested fields according to your virtual card. 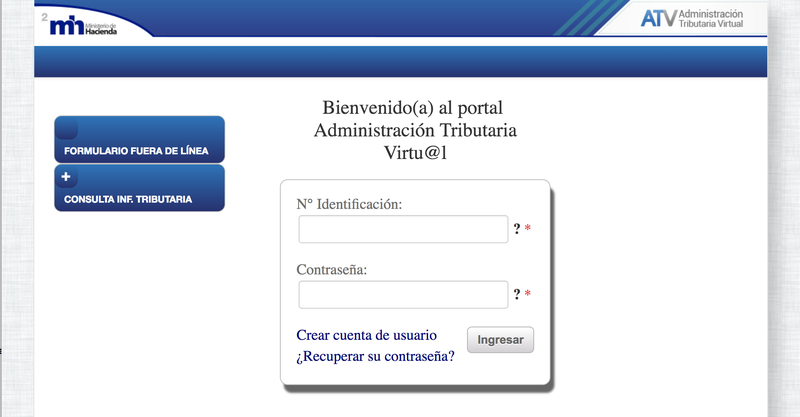 Click on the “Registro Único Tributario” option in the menu, located at the top of the screen. Then select the option Declaraciones del Registro Tributario. Select the option: “Declaración de Modificación de Datos en el Registro Único Tributario” of the Forms menu. Use the “Llenar formulario” option to continue. Fill in the mandatory information (*) of the following sections. In section XII. “Método de Facturación”: select the “Factura Electrónica (Emisor-Receptor Electrónico)” option and confirm that you have read and accepted the considerations established in the current electronic invoice resolution. And click on “Aceptar”. a) You have an internet connection. b) You have an electronic signature. c) The system issues the respective XML files. Select option ii. “Sistema de un Proveedor” in the “Tipo de Sistema” option. Ready! Now you can return to Fygaro and issue your first Electronic Invoice! * Remember that your billing should start again with a new consecutive from 1 (or with a new prefix! ).